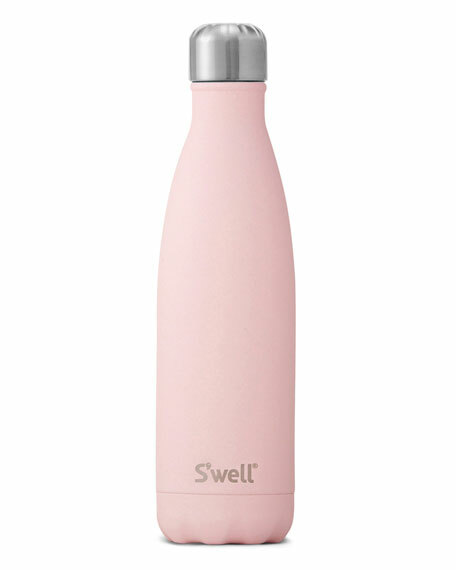 S'well "Pink Topaz" reusable bottle from the Stone Collection. Features an opaque finish and durable stone-like texture for added grip. Made of high-grade 18/8 stainless steel. 2.8"Dia. x 10.39"T; weighs 0.69 lbs.